It’s winter break time i.a. for children and young people from our province. Look what’s waiting for you in our Ice Arena! We start with public ice rinks every day from 10:30 a.m. to 10:00 p.m.
Public ice rinks will be directly accessible by bus number 6. From 1st February, there will be an active bus stop at the arena. In the meantime, we encourage children to sign up for ice-skating lessons from scratch with a qualified instructor. 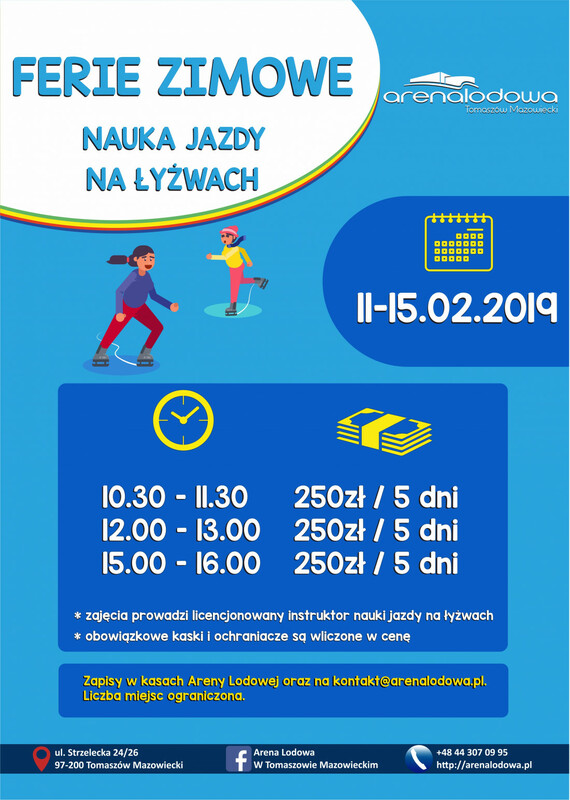 The price for a five - hours course is 250 PLN and it includes rental of a helmet and protectors. You can choose one of 3 available hours of classes every day. Don’t forget about the possibility of using the gym and… the sauna, which will be open soon. Last year, over 15.5 thousand people visited us during winter holidays.